Looking for an effective healthy weight loss diet program? So you can slim down before summer? Great! Here on this site you will find my program that is designed to help you lose weight and look stunning. But first, if it's OK, I would like to talk a little bit about how to lose weight, the most likely reasons for your weight gain and what you can do about it now. Want to jump straight to where I tell you more about the program? Go ahead. Has the weight slowly crept up on you over the years? 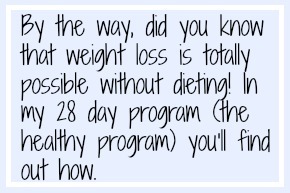 When did you realize that you need to lose weight? 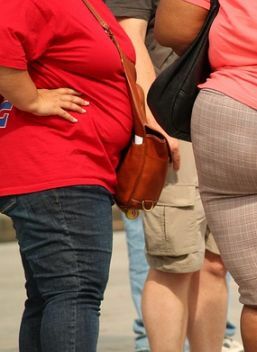 Did you know that 80% of weight gain is a result of not eating right? The rest is a lack of exercise coupled with genes. But 80% is what you eat! What? That is good to know, right? Except that diets don't work! Why? Because when you go off the diet, you'll gain all the weight back again. Not good. Except that it isn't... or shouldn't be - at least not with the help of a good system that focuses on your long term eating habits. So, the number one weight loss tip again? You know what? I'm so happy and excited for you that you have decided to make this huge important change in your life - to finally get rid of those stubborn pounds! The program I will present to you here (number 1 below), is the healthy weight loss diet program that I've been talking about. There is another one too, but it's a detox program. It works well too, but in a different way. 1. 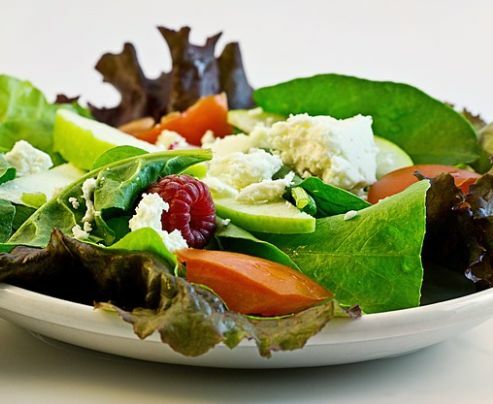 If you want to lose the weight once and for all and keep it off, then I would suggest to you the healthy program that takes about a month to complete. This one works amazingly well for people who are used to doing things independently and can get things done that way. You will also get support though when you need it, so no worries. 2. I've also got one that focuses on detoxing the body and preparing it for healthier times. It's a quick one that takes only about a week. You could do that one before the one that takes a whole month and you'll have amazing results. Just choose whatever option that would work for you. Contact me when you have made your decision. If you would like to read more, sign up and get some more details, you can do that here. FYI, I don't sell any shakes or pills. I just want to help you lose some weight and feel great about yourself and about your life. Slimming down is not something that you can be pressured into. Its something you have to really want and take time for. Its an inner journey also.